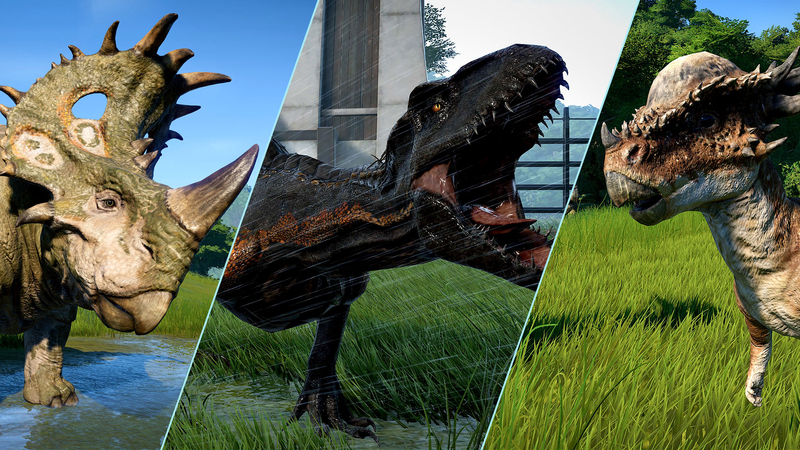 Guests will be pouring onto your island to see two brand new herbivores, the feisty Stygimoloch, and the horn-adorned Sinoceratops. Each will have their own comfort requirements, so get those enclosures ready! And, if you feel like you’re an expert in crisis management, you’ll also see the arrival of three new carnivores, the terrific and terrifying Baryonyx, Carnotaurus and Allosaurus. Don’t put them too close to your guests though. They bite, chew and swallow whole. Alongside these toothy predators stands the star of the show: the horrifying and one-of-a-kind, Indoraptor! Haven’t yet had the pleasure to come face to face with this monstrosity? Get yourself to a screening of Jurassic World: Fallen Kingdom (to prepare yourself) or… simply introduce one into your park! This update is out today on PC, PlayStation 4, and Xbox One!